Book high-quality dental care with our dentists in San Pedro Garza Garcia – the upscale municipality in Nuevo Leon that is part of the Monterrey Metropolitan area. This modern, clean and safe part of the world is rather well-heeled, with wealthy residents who are more likely to be working in a bank rather than a factory. They possess more disposable income in comparison to the rest of the country, and there is an abundance of chic and fashionable bars and restaurants, as well as upmarket plazas and malls with boutique shopping to help them spend it. It is also home to big businesses, including Cemex (one of the largest construction materials firms in the world), FEMSA (Coca-Cola in Latin America) and Cerveceria Cuauhtemoc moctezuma (brewers of Sol). In common with nearby Monterrey, San Pedro has embraced cutting-edge design and architecture. Projects such as Arboleda are transforming thousands of square meters with contemporary architecture, alongside designers responsible for iconic bildings across the world, such as the Petronas Towers in Kuala Lumpur and the International Finance Centre in Hong Kong. 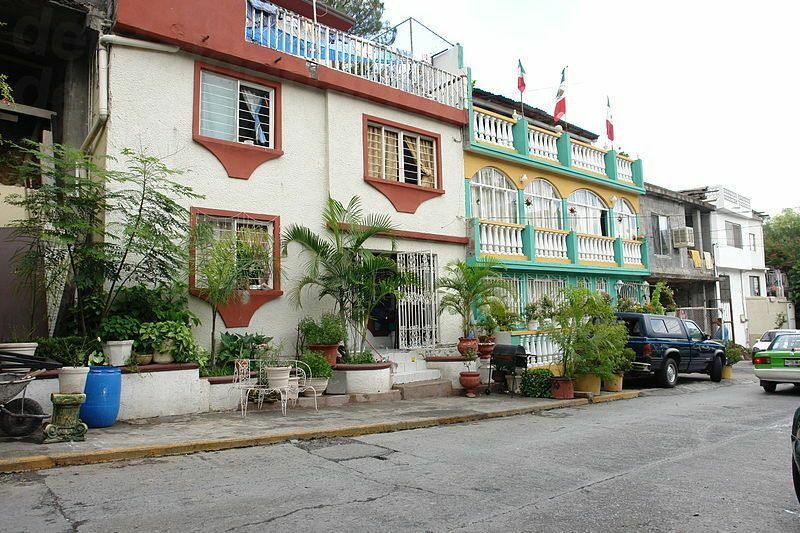 San Pedro, together with Monterrey, has a very different feel about it to the Old Colonial towns and cities which are commonplace throughout the rest of the country. Geared to the work hard, play harder phenomenon of modern culture there are endless entertainment opportunities for residents and visitors alike – from eating out to bungee jumping. Not far from San Pedro are other cities of note, including Monterrey, the state capital, Guadalupe and Santa Catarina, and a little further away Saltillo. The surrounding countryside offers stunning mountain ranges containing canyons and waterfalls which are suitable for a whole range of activities, and the area is rich with traditions and festivals with fireworks, carnivals, eating, drinking and much merriment and so try and plan a visit to coincide with one of these events. A sophisticated destination, dental patients will find all their needs catered for, and find plenty to see and do in between appointments. 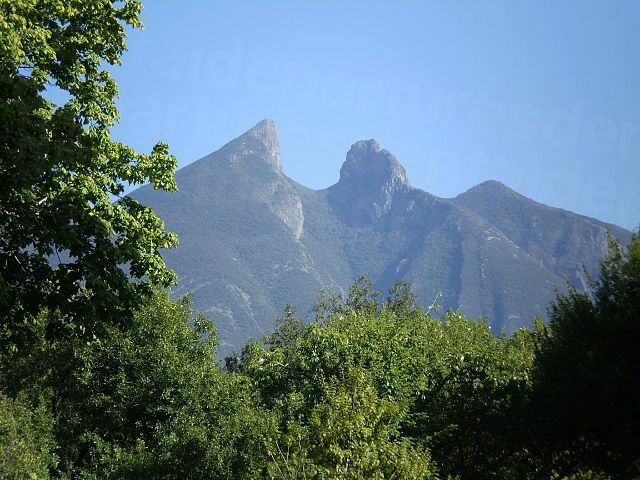 San Pedro is in the state of Nuevo Leon, adjacent to Monterrey and separated by the natural division of the Cerro de la Loma Larga (Long Hill Mountain). Why visit a dentist in San Pedro? Urban dictionary’s entry describes San Pedro as ‘the happiest place on earth to live….like (the) USA….only better’. It is safe, clean and modern and it does the basic amenities any visitor requires with style, for example great hotels, fantastic restaurants and interesting bars. For North Americans it is a convenient destination. International flights arrive at Monterrey’s General Mariano Escobedo International Airport, around half an hour’s drive away. Business travelers, in particular, may find it appropriate to arrange their dental care here if they are traveling on a business trip to the area. San Pedro’s accommodation choices range from the international chains of business-class hotels to self-catering suites – all at reasonable prices to suit every pocket. The robust security services in and around Monterrey have proven very effective in combating violent crimes so that levels of organized crime-related violence have decreased dramatically within the last two years. Sporadic incidents do still occur and the US travel advisory warns to exercise caution elsewhere in the state. There is no specific warning for San Pedro Garza Garcia. Yes – you can get great quality dental care in San Pedro – just as good as you would at home. There is a caveat to getting good care, however, and that is to make sure you go to a dentist you know a little about, i.e. you have done your homework and done some background checks. These needn’t be too hard to find out – you can discover a lot just by searching the internet. However, to be really sure, book through someone who has already done the background checks for you – like Dental Departures. We do criminal and legal record checks, professional memberships, qualifications and site visits, as well as check out online reputation, for example from previous patients. Only quality-checked dentists are listed on our site, whose credentials stack up. Make sure you do yourself a favor and book with a reliable dentist, and you won’t put yourself under any more risk than if you’d had the treatment at home. What happens if something goes wrong? Are there any guarantees or warranties? Our dentists in Mexico all provide cast-iron warranties and guarantees on their work (unlike some dentists back home). You are secure in the knowledge that if something does go wrong it will be fixed free-of-charge under the warranty procedure. A very tiny percentage of our patients have had anything go wrong – and these have only been minor. Unfortunately, medical procedures can never be guaranteed absolutely, simply because our bodies react differently to things and some take longer to heal. That said, you can diminish your risk greatly by going to a good quality dentist who has verifiable and consistent results. If you are worried about the expense of possibly having to go back should the need arise through a complication, we have got together with some insurance providers who issue medical complications insurance. We would suggest that for a small outlay these are worth taking out to give you total peace of mind. Our dentists speak English very well and so there shouldn’t be any need for you to speak Spanish. In San Pedro English is widely spoken too, although if you do know a little Spanish it will certainly go a long way. US dollars are accepted at our dentist’s offices, but most of them do have provisions to accept other methods of payment, including debit cards, credit cards, personal checks, traveler checks and bank transfers. Please be aware that credit card transactions usually incur an additional processing fee of between 3-4%. Unless your dentist in San Pedro is included in your insurer’s preferred network it is not likely they will be able to bill your insurance company directly. If you are covered for out-of-network care you will probably be able to claim back your expenses once you get home. Check your policy or speak with your insurance provider to find out and be sure to obtain the appropriate documentation to bring with you if you can claim. You can visit our dentists at any time as they are open all year round, save for the usual public holidays. Weather-wise, the temperatures in San Pedro can get pretty high in the summer (average 95F, 45C in August). January and February are the coolest months when temperatures are in the low to mid 70 degrees Fahrenheit and low-mid 20 degrees centigrade. Our dentists are usually wheelchair-accessible, and many also offer to pick you up to and from your hotel to your appointment. There are a lot of new developments in San Pedro and so accessibility is a lot easier across the town than it is in many other places in Mexico. Dental patients need to be aware that the preferred method of pain relief by dentists in Mexico is local anesthetic. If you think you will need sedation dentistry, it can be arranged by most of our dentists, but it will have to be booked in advance. It usually costs an additional $400 because the services of an anesthesiologist need to be booked to administer sedatives. What else is there in San Pedro? San Pedro is one of the most affluent neighborhoods in all of Latin America – equivalent to Beverly Hills or Greenwich in Connecticut. It is easy to get around, and although there are no metros, you can avail yourself of the many taxis and buses. Shopping in San Pedro is akin to shopping in Rodeo Drive or Las Vegas. Famous designer stores, including Fendi, Versace and Louis Vuitton can be found in air-conditioned malls, such as Calzada San Pedro. There’s also traditional handmade arts and crafts available in the area, including leatherwork, blown glass and regional sweets. You can find these type of artisan products over in the Morelos shopping area in Monterrey, as well as in Santiago. One of the most visited tourist attractions in Nuevo Leon is Las Grutas de Garcia. These caves are thought to have formed 50-60 million years ago and contain impressive chambers, rock formations and stalactites and stalagmites. There is also a cable car journey to get to the entrance to the caves. The State parks and incredible countryside have plenty of attractions. At the Chipinque Ecological Park and the Cumbres de Monterrey National park, a 27 meter waterfall, butterfly gardens, nature trails and breathtaking views are the perfect antidote to our stress-free lives. The area is ripe for adventure – from canopy tours, zip-lining, rappelling and bungee, as well as more traditional adventurous activities, such as horse-riding. Over in Guadalupe is the Bosque Magico amusement park, and there is a mini zoo in Villa de Garcia and a safari park about 30 minutes away. With a seeming inexhaustible list of things to do, we’re sure you’ll find San Pedro and the surrounding areas a joy. Monterrey’s airport, Mariano Escobedo International Airport is the nearest airport, around 50 minutes away. Book your appointment with one of our quality-checked dentists online, via email or call our toll-free number. You can also use the online chat facility to book an appointment, or to ask our Customer Care team any questions you may have. We guarantee the best prices available, so make sure you book the best dentists available with Dental Departures.